Marset is about more than lamps: we take care of light, in its different nuances and effects, to create atmospheres with character and improve our clients' quality of life. We dedicate all our efforts to creating first-class designs and helping ensure the flawless completion of each product. We seek to produce innovative, clever fixtures, kindling our audience's senses while taking them on a journey. Marset's lamps are refined and contemporary. Through technical precision and creativity we aim to discover new functions and applications for our time-honored fixtures. This constant quest for new directions, combined with our curiosity and foresight into the shape of things to come, has driven the ethos and design behind our collection. The main characteristics of this collection are its authentic feel, meaningful simplicity and decorative yet restrained visual approach. 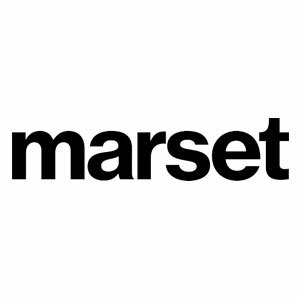 We believe it exemplifies Marset's continuing endurance and adaptation: begun in the 1940s as a family business dedicated to casting metals, Marset has always applied the knowledge acquired from decades of experience to become a solid market presence with a global calling. In recent years, Marset has received the DME Award 2014-2015, the Premio Nacional de Diseño 2015, and has been recognized with a Red Dot Award 2016 for the FollowMe lamp.